As dietary supplements have gotten more popular, there has been an increase in their link to adverse reactions. New research published in the Journal of Medical Toxicology has found the rate of calls to poison control centers, related to supplements, jumped 50% from 2005 to 2012. However, in most cases the incidents did not stem from normal, adult use of the supplements. The researchers found that 70% of the cases involved a child, younger than six, who found the supplements and swallowed them. Dr. Gary Smith, of Nationwide Children’s Hospital and senior author of the study, says consumers mistakenly believe dietary supplements are similar to over-the-counter medication. 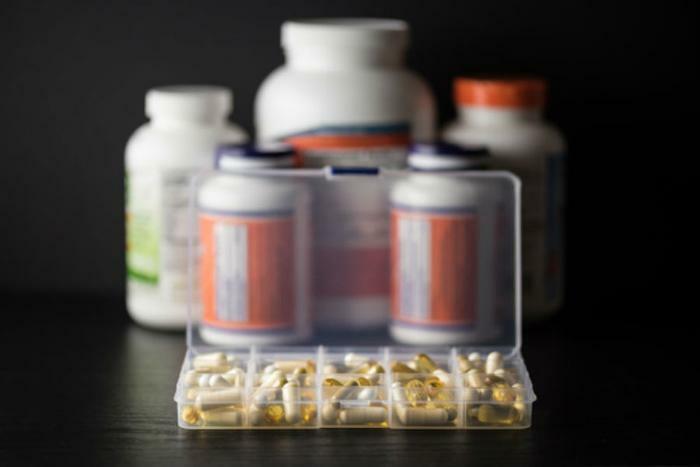 “Dietary supplements are not considered drugs, thus they are not required to undergo clinical trials or obtain approval from the FDA prior to sale, unless the product is labeled as intended for therapeutic use,” Smith points out. In fact, Smith says miscellaneous substances in the supplements were often the cause of a reaction. Those substances include botanicals and hormonal products. The researchers said energy products, along with botanical and cultural medicines, accounted for the largest proportion of serious medical events. Among botanicals, yohimbe accounted for the largest proportion of serious medical outcomes. The researchers says almost 30% of yohimbe exposure calls resulted in moderate or major effects, which can include heart beat rhythm changes, kidney failure, and heart attack. Henry Spiller, a co-author of the study and director of the Central Ohio Poison Center, says a lack of federal oversight has caused inconsistencies in the quality of supplement products. He said mandating child-proof packaging for supplements would be a first step. Sales of supplements have increased in recent years, along with the growth in the population of older adults. According to the staff at the Mayo Clinic, supplements aren't necessary for people who eat a well balanced diet, but they may be helpful for older adults who don't live in an assisted living facility. The staff recommends talking with your doctor about what supplements and doses might be appropriate, and says to ask about any potential side effects or interactions with prescription medicine you take.